Obituary – Voise, Anthony Scott « Perry High School Alumni Association, Inc.
﻿Anthony Scott Voise, 21, Route 2, Perry, accidentally drowned in a farm pond located approximately four and one-half miles south of Perry. Funeral is set for 2 p.m. Saturday at the First Christian church of Perry. Rev. Lynn Scott, pastor, and Rev. Randy Beeman, Blackwell, formerly of Perry, will officiate. Burial will be in Grace Hill cemetery under direction of Brown Funeral home. Memorials may be made to the drama department at the University of Oklahoma or the First Christian church of Perry. Voise was born Dec. 13, 1973, at Perry, the son of Larry and Suzanne (Davis) Voise. 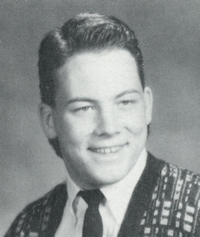 While a student at Perry high school, he served as captain of the Maroon wrestling team. He placed third in state competition in wrestling as a junior and senior. He graduated from Perry high school in 1992. He was a junior at the University of Oklahoma where he was a theater major. 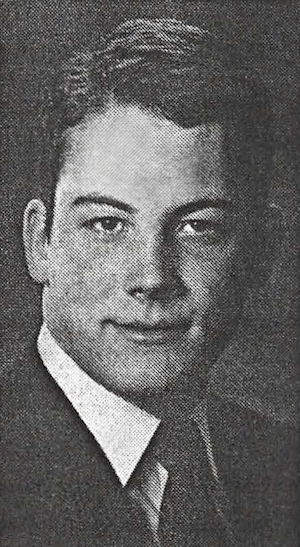 Voise was a member of Phi Gamma Delta fraternity. He also was a member of the First Christian church of Perry and had been active in the Christian Youth Fellowship organization. In addition to his parents, of route 2, Perry, survivors include two sisters, Kristi Voise, Oklahoma City, and Tara Voise of the home; paternal grandparents, Arthur and Marjorie Voise, Perry; maternal grandparents, Maurice and Margaret Davis, Fairview; and paternal great-grandmother, Mrs. R. A. Rupp, Perry.